This charming gold resin Chinese Money Frog seated upon a mountain of traditional Chinese coins and a gold ingot is sure to attract abundance to your home or business. 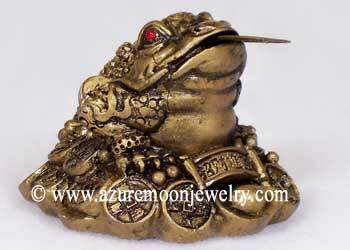 Sometimes called Prosperity Frogs, or Money Toads, she is a very popular and powerful Feng Shui money cure. Perfect for activating the wealth sector of your home, office or shop, this petite Fortune Frog is sure to bring abundant blessings wherever she resides! Handcrafted in China of brass-like gold polystone resin with an antiqued finish, she has brilliant red crystal eyes and comes with an extra coin to place it her mouth for extra prosperity. Measures 1 7/16� H � 1 7/8� W � 2 3/16� L.
Our Chinese Money Frogs are also available in two other styles! 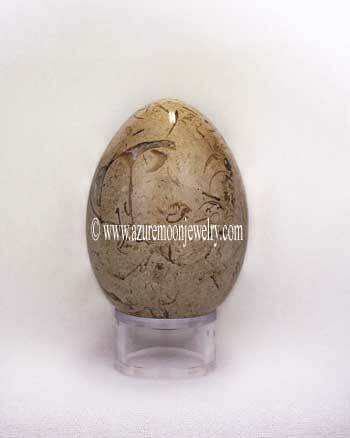 Collect them all for extra prosperity and to help protect your wealth for your home or business! To order another style, please click on either of the links below. Click here to purchase a Gold Resin Chinese Money Frog On Bagua (Item: OS-42109-B) sold separately. Click here to purchase a Gold Resin Chinese Money Frog On Ingots (Item: OS-42109-I) sold separately.